China’s first cloned police pupper has reported for training, and I don’t know about you, but 14/10, am puppared to be arrested. 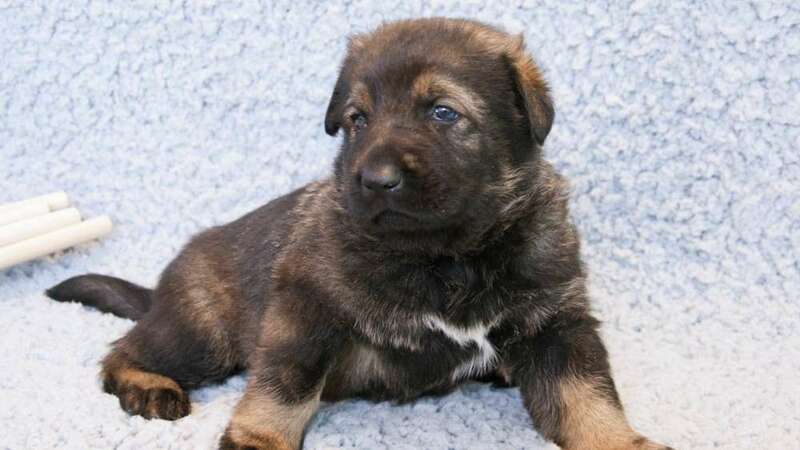 Kunxun, the 2-month-old Kunming wolfdog, was cloned from the DNA of an award-winning police sniffer dog in the hope of breeding pups particularly suitable for police work. She started training earlier this month at the Ministry of Public Security’s Kunming Police Dog Base in southwest China’s Yunnan province, and will train for a further 8-10 months in puppy police work, including search and rescue, tracking, and drug detection before going on to active service. She was cloned from the DNA of a 7-year-old female Kunming wolfdog called Huahuangma, a police dog at the Pu’er police station in Yunnan, who is well known for being a respected doggo detective, instrumental in cracking many cases. In one example of being a very good girl, she found a crucial bit of evidence, a hotel key, that led to the arrest of a murder suspect in 2016. As most police dogs in China are imported breeds, and it can take up to five years and cost 500,000 yuan (about $75,000) to train them to Huahuangma’s level, it is hoped that cloning dogs could both improve the quality of police pups with a very particular set of skills, and save money. Kunming wolfdogs are the only indigenous breeds used in police work in China, and were specifically bred to be military assistant dogs from a mix of German Shepherd and others in a K9 training program in Bejing in the 1950s. The actual cloning was carried out by Yunnan Agricultural University and biotech company, Sinogene – famous for being China’s first pet-cloning service, and duplicating a canine movie star last year. In September, they used a genetic sample from Huahuangma to create a cloned embryo from the donated egg of another dog and implanted it into a surrogate beagle. 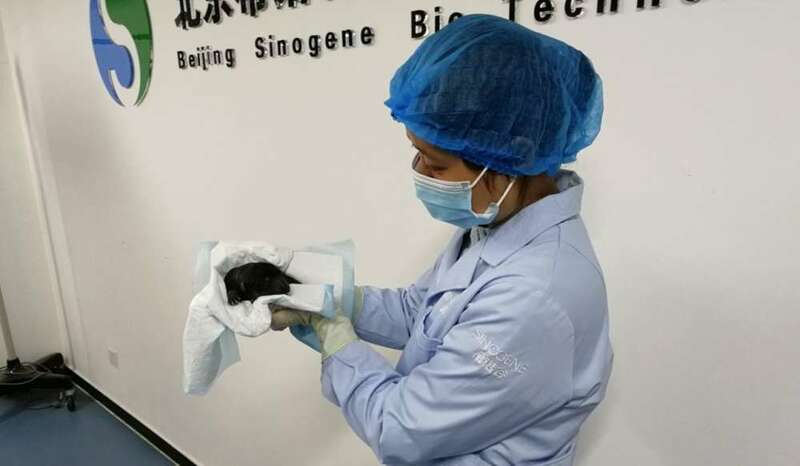 Kunxun – which is a mix of characters that mean Kunming wolfdog and “achievement” – was born by C-section on December 19 last year weighing a healthy 540 grams (19 ounces) and measuring 23 centimeters (9 inches) long. Since arriving at her new workplace she has settled in well, project analyst at the Kunming Police Dog Base, Wan Jiusheng, told Science and Technology Daily. “She is friendly to humans, sociable and alert,” Wan said, adding that she is not scared of the dark or unfamiliar spaces, has a strong sense of smell, and is good at detecting as she can quickly find food hidden in long grass. Testing has revealed Kunxun’s DNA is a 99.9 percent match for Huahuangma, and performance tests have shown she may be every bit as good as her clone mentor. The researchers hope to have Huahuangma’s trainer monitor performance data to compare the two. The plan is to establish a pool of outstanding puppers to aid police work, and Kunming wolfdogs seem particularly adept at this type of work. It’s been 20 years since Dolly the Sheep, the first cloned animal, was revealed to the world and began the debate over whether animal cloning was unethical. Since then animals have been cloned for livestock, as replicas of dearly departed pets, and, controversially, as medical test subjects. Scientists are even looking at it as a potential way of bringing back long-extinct species. That the science is safe and successful no longer seems to be in doubt, but, as a great mathematician wisely once pointed out; sometimes humanity can be so preoccupied with whether or not it could, it doesn’t stop to think if it should.